It's hard to believe it's almost the middle of June. The golf season was a little late in arriving in the Ottawa area but the weather has been great and the review testing has been fun and furious. I started off the season with only one new club to test out, and that was the new PowerBilt Air Force One DFX Tour Driver. PowerBilt has been around awhile first getting it's start way back in 1916 making persimmon drivers. Now they're better know for being the #1 choice for junior golfers. It's always fun testing out a new driver and I usually start by getting acquainted on the range for a few days. 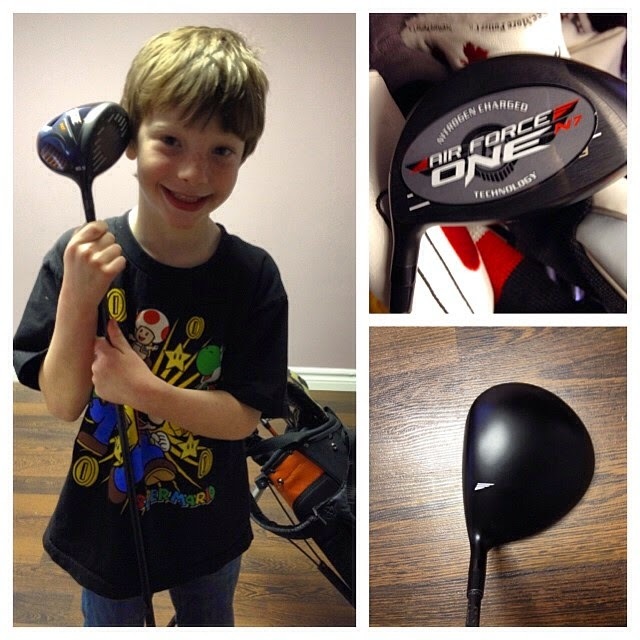 The PowerBilt Air Force One DFX Tour Driver was a little different. I had set up 3 rounds of golf in early May in Toronto with my father-in-law and brother-in-law. So I hit the range at Lambton Golf and Country Club the first stop on my golf weekend only thinking about hitting a few balls with the PowerBilt and going with my regular driver (TaylorMade R1). Well that all changed after taking the headcover off the deep faced Air Force One DFX Tour Driver and hitting a few balls. The AFO DFX Tour driver from PowerBilt really surprised me out of the gate, I definitely wasn't expecting to put into my bag right away and most definitely expected a few range sessions first. I tested out the 10.5° model with stiff Aldila RIP Alpha 60 g shaft – this proved to be an effective combo for my swing right from the get go as I had used this shaft previously in a few drivers. The AFO DFX features a forged titanium body with titanium cup face technology, as well as aerodynamic 460cc clubhead shaping. I definitely loved the more traditional-sized head offered by the Powerbilt Air Force One DFX Tour Driver. Set beautifully up at address and framed the ball perfectly. The PowerBilt Air Force One DFX Driver is available in both the high MOI and Tour Series, in lofts of 8.5°, 9.5°, 10.5° and 12.5°. Standard shaft length is 45 ½”. The club is offered in several leading shaft models, like Aldila/Fujikura/Oban/Mitsubishi/Graphite Design. So finding the right shaft for your swing and achieving the optimum launch angle and spin rate for their personal swing. So what's up with this nitrogen thing? The PowerBilt Air Force One DFX Tour Driver is one unique driver and the first driver I've hit that includes nitrogen (Nitrgen N7) within the driver. PowerBilt says Nitrogen Charging is a newly patented method to reinforce the face of the club without adding any weight. “Compressed nitrogen provides tremendous support to the club face so every golfer can benefit from maximum C.O.R., maximum C.T., maximum Trampoline Effect, and Maximum Smash Factor for incredible distance!” says PowerBilt. After gaming the driver for the past month and a half I have to admit that's one of the things I loved about the driver when you hit it well or on the sweet spot (which is huge) you get that instance feedback. That pretty much starts out with a nice sharp sound and then with quite some substantial drives. I've always been one who has mainly hit a draw but with the PowerBilt I was fading the ball at will with little to no draw. 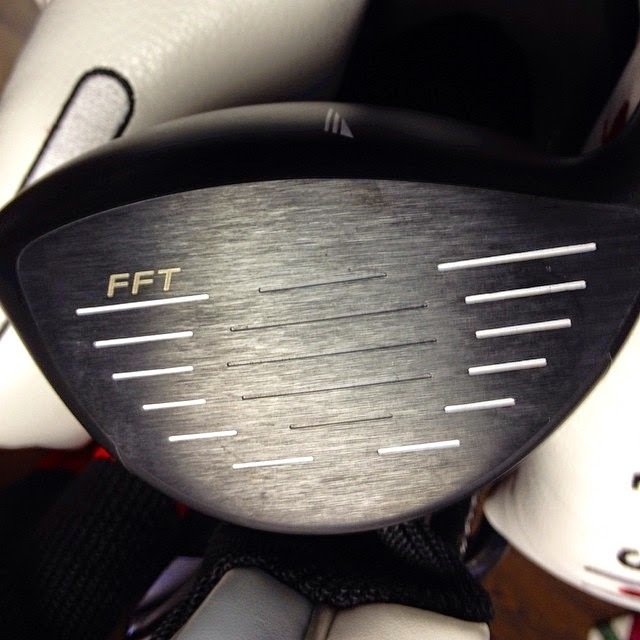 Straighter drives got more distance but with this new found fade the left of the fairway was non-existent. The PowerBilt Air Force One DFX Tour driver is one solid driver and can stand up with the big OEM golf companies. I'd only really heard of junior clubs made by PowerBilt but I think they really have a solid driver in the PowerBilt Air Force One DFX Tour Driver. With a price tag of $299.99 US, this driver performed performed beautifully over the last month and a half and it just may stay in my bag permanently. I would recommend to PowerBilt to add customization of grip to their options as I wasn't in love with the stock grip as well I'd make some improvements to the headcover with so many companies going with retro or unique headcovers Powerbilt's just seemed cheap. To find out more about PowerBilt and its 2014 offerings, visit www.powerbilt.com.